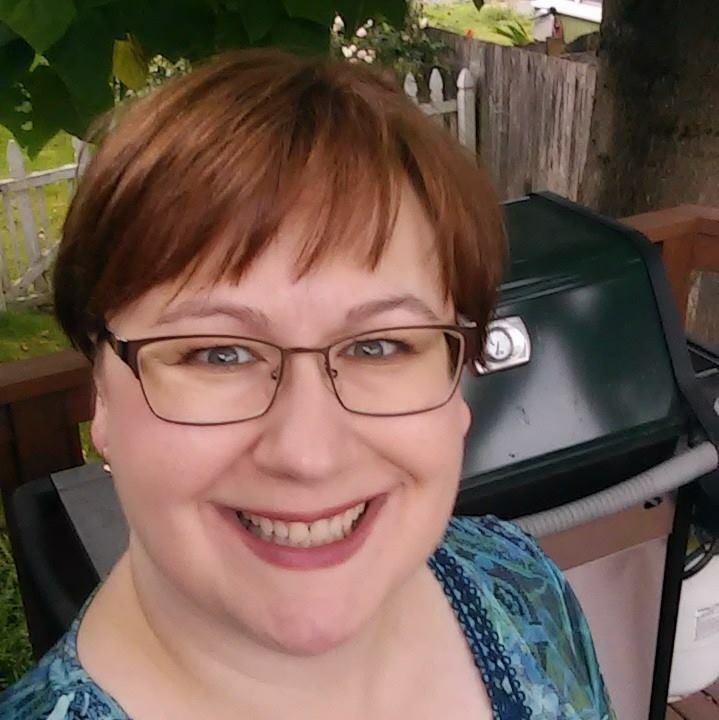 It's the middle of April (my brain is still in March) and I want to let you know of all the happenings! This is the last month of the current Seasonal Expressions. Items are while supplies last. I'm offering Hostess Rewards for all orders placed this month! 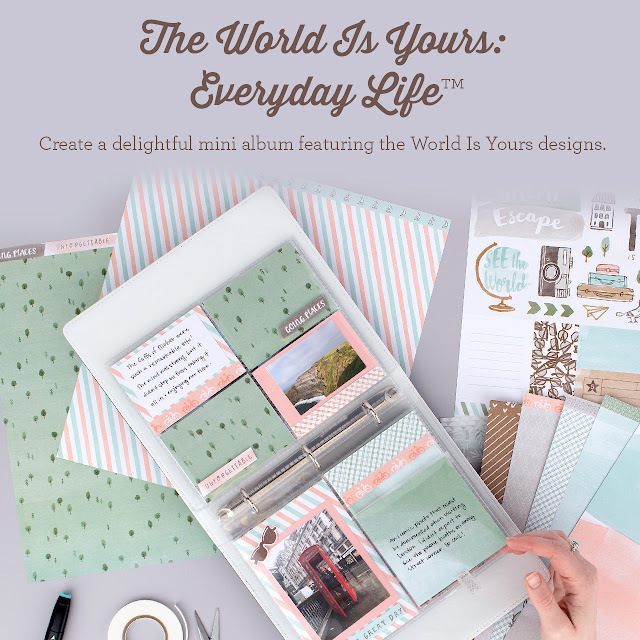 Are you celebrating National Scrapbook Day? This idea book is retiring in just over 2 weeks! And it has some gorgeous things in it! And items are selling out! Feels Like Home is country elegance! I have a HUGE goal this month and I want to bring you in on it! There's some amazing Hostess Exclusive Stamps that are retiring. And I'm sure you'd love to have a set or two but don't want to have a party. Right? Let's do this together. Every order helps me reach my goal and your goal of getting Exclusive Stamp Sets! For every $7 of product you order from my website, I'll give you $1 in hostess rewards. So if you love the "This is not a bill" stamp set, place an order for $77 and I'll send it to you for free! It's that easy. Of course, we'll communicate and get addresses and all that but it's easy! This offer is only available through yours truly, Lalia Harris and doesn't combine with workshop discounts or other parties. If you want to go big and get even more rewards, let me know, I'll set up an online party for you! #3 Mother's Day is coming! Made With Love is a gorgeous mini-album that's perfect for mom. With a laser cut wood cover! Order yours today! This is created using the Artbooking Cricut Cartridge. If you don't have a Cricut, contact me to see how you can make a similar item with the Border Thin Cut Dies! 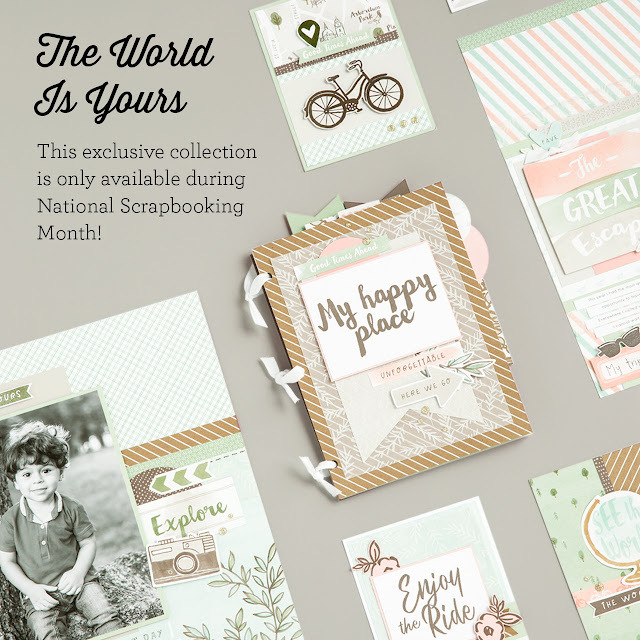 National Scrapbook Day is May 4th! Are you ready? The World Is Your is our exclusive collection for May... and available from me in April! Are you wanting an amazing and versatile travel themed collection to kick off National Scrapbook Day? Message me and I can submit an order for you starting April 15th! Danger! My stamps are taking over my home! Can you please adopt a set or two so they're loved and enjoyed instead of being forgotten? 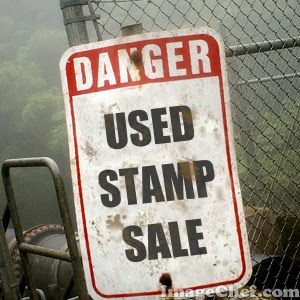 Click here to see the 140+ gently used or NEW stamps I have listed for sale! Prices are $3 to $8 except for a very select few sets. Please comment on the photo of the stamp set you want and when you're done, message me or leave a comment on this blog post! I accept cash, check or PayPal and ship! I have some exciting workshops coming in April! Make 5 cards or more! Well be learning a technique or two while having fun with girlfriends! 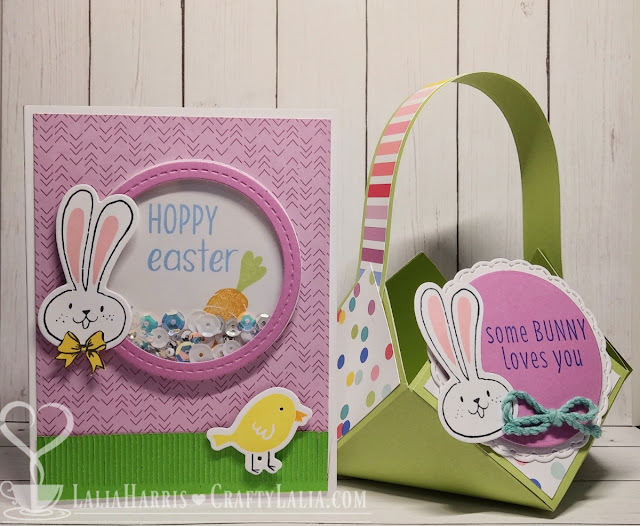 Create 3 Easter Shaker cards and 3 coordinating treat baskets in bunny or faith based theme. 2 kits available. Bunny themed and Cross themed. 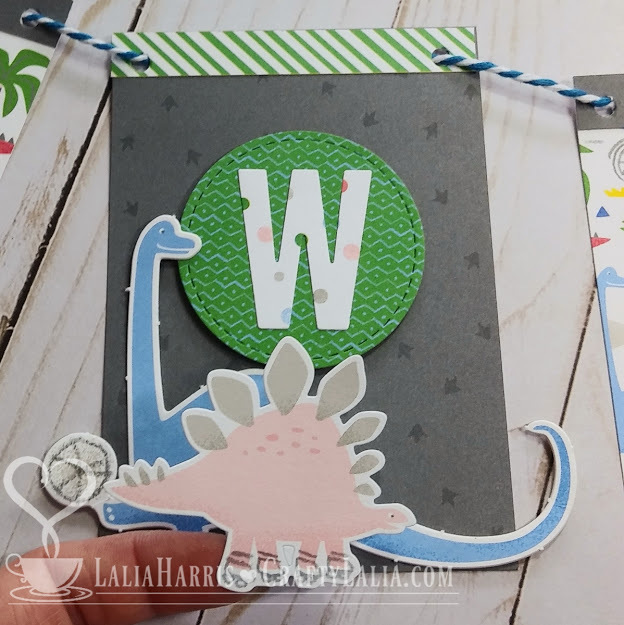 Create a banner, 2 cards and a scrapbook with your family. Cost $24 per kit. Includes 1 child size cocoa and all supplies. 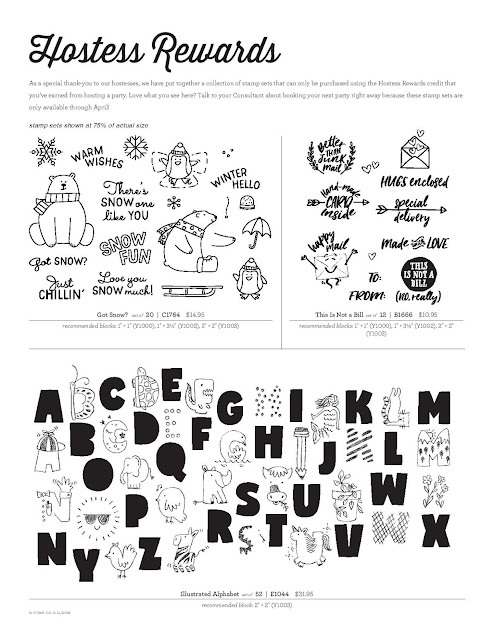 This project can be shared among family members or completed by 1 child and adult. I'm excited to share with you a kids and family workshop coming in April! This is a fun workshop designed for 1 or more family members to work on together. It includes 2 cards, a banner and a mini 6x6 scrapbook! This easy and fun workshop is available as a DIY kit or as a workshop on a Saturday afternoon. Who: You and your child. Any age! You'll be there to help them along. What's included: All necessary tools and supplies to create the project below as well as one kids beverage from the coffee bar. More food, snacks, sandwiches, teas, coffees and drinks are available to purchase. This kit contains pinks & blues. The photo above is my "blue" version for my son. Don't worry girls, you can make this kit as sweet and pink as you want! Add a pink roller skating Stegosaurus to your project! Everything is pre-cut and ready to cut with extra paper and stickers to take home to continue creating! This workshop includes a kid sized hand crafted beverage from the Tabby's coffee counter. The album is approximately 6" tall and can open to 24" wide with interactive flaps. I created this album featuring my son's baseball season last year. It was perfect with all of the blues and greens. But, don't worry, there's plenty of Raspberry papers and accents to make it perfect for a princess! At the workshop I'll supply adhesive and a kids beverages. Please RSVP no later than 4/13/19 with payment. Products included in this kit are set to retire on 4/30 and may sell out. Please order early to guarantee availability. If you are ordering 2 or more kits, please add each one to the cart separately. It's a short month but we have some gorgeous exciting things to share. I ordered my Love Blossoms stamp set this morning! 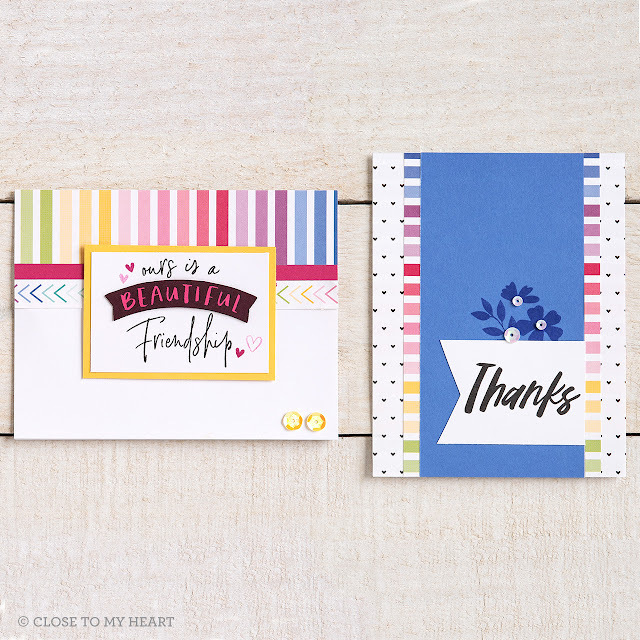 This is a double stamp set, sized E that's available by itself or with cardstock and card bases to make 12 beautiful cards in a rainbow of colors. As always, the cutting guide is free to download from my website right here. My plan is to change up the cards a little bit. I can't wait to share what I make when the stamps arrive! Of course, you'll save a bit when you order the bundle and if you're new to stamping, we have mini-stamp pads just for this kit so you all you need to order are blocks to get you started! Just $5 with a $50 added to your cart. I can't wait to play with this set. It's going to be very versatile! 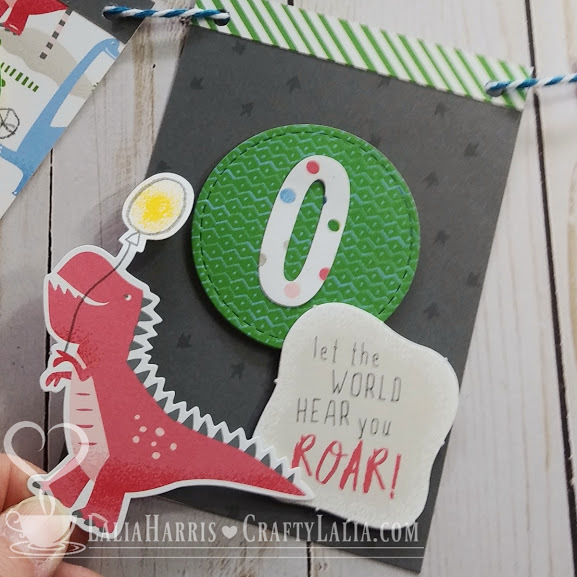 Did you know you can cut your stamps apart and it doesn't damage them? 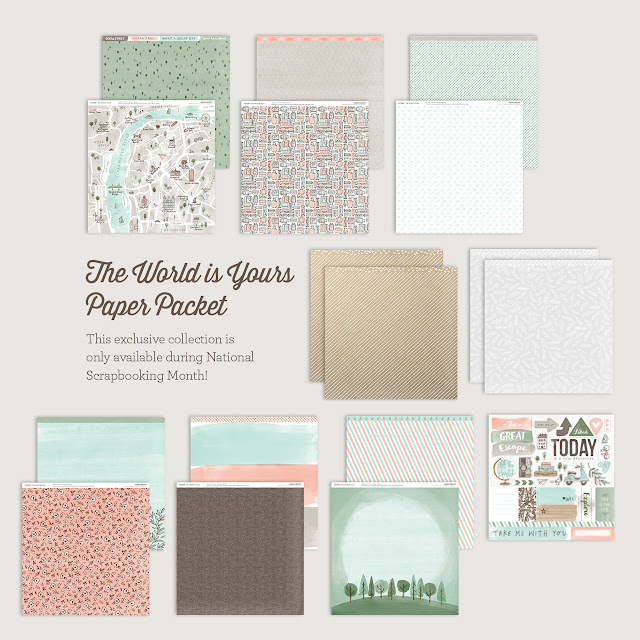 Heart Happy is also a paper pack! We have a red, white, Sapphire & Glacier colored paper pack that's terrific for more than Valentine's Day. It also has 2 scrapbook kits. One for a 6x8 album! And stickers, stamps and more! 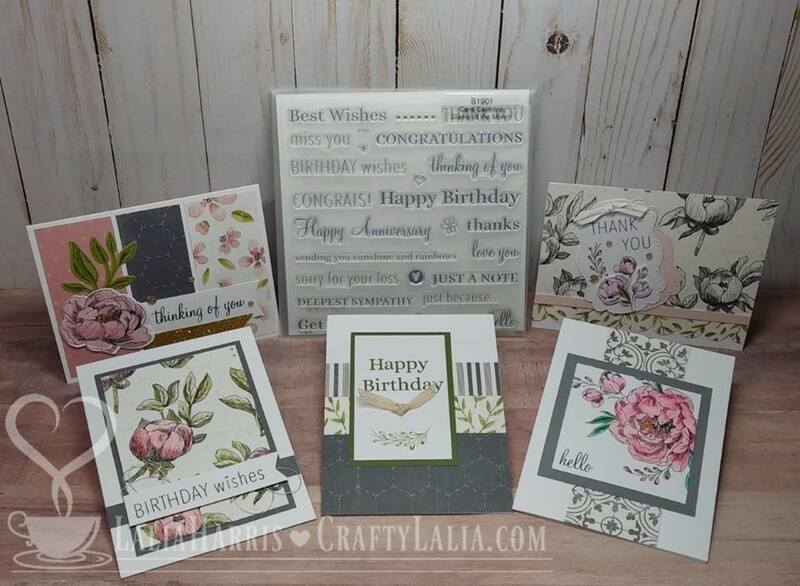 See more here for the 12x12 layouts and cards. And for the 6x8 mini album. Every month we have a sign-up mini special. But February has a Mega Special! 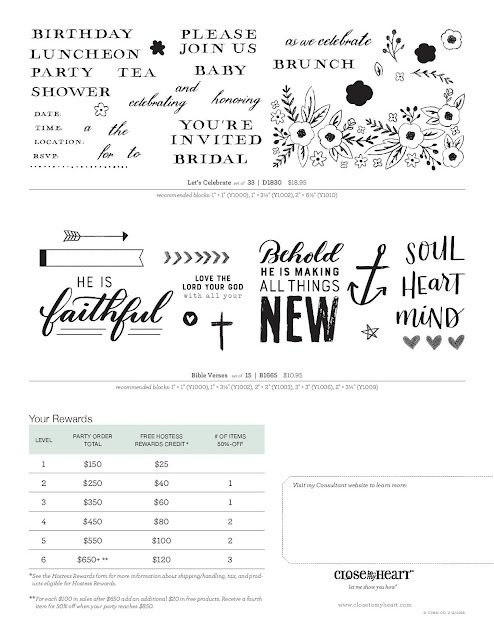 You'll receive all 5 of our Hostess Exclusive Stamp Sets for free when you sign up to join my team as a consultant. Here's better pix of the stamps you'll receive! Remember, you CANNOT buy them. $50 in CTMH Cash immediately upon sign-up. Pick what you want! Free Consultant website so your friends can shop with you online! No fees! Are you curious? Let me know and let's talk over coffee or chat! Ahhh. My calendar is a mess! In other words, it's on paper instead of being published online! Stay tuned for workshop dates in Everett, WA!